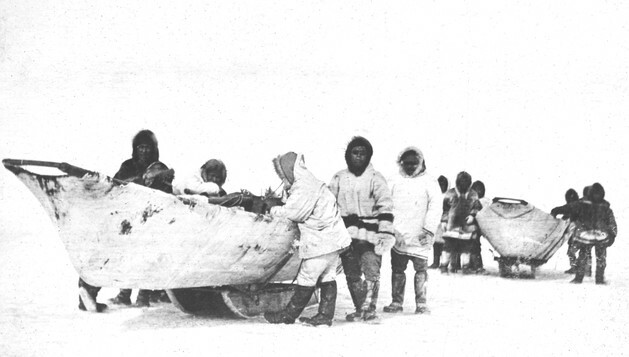 Hunters wearing parkas and snow goggles transport two umiaks using boat sleds. Little Diomede Island, circa 1918. Courtesy of the Anchorage Museum, B55.3.310.37.